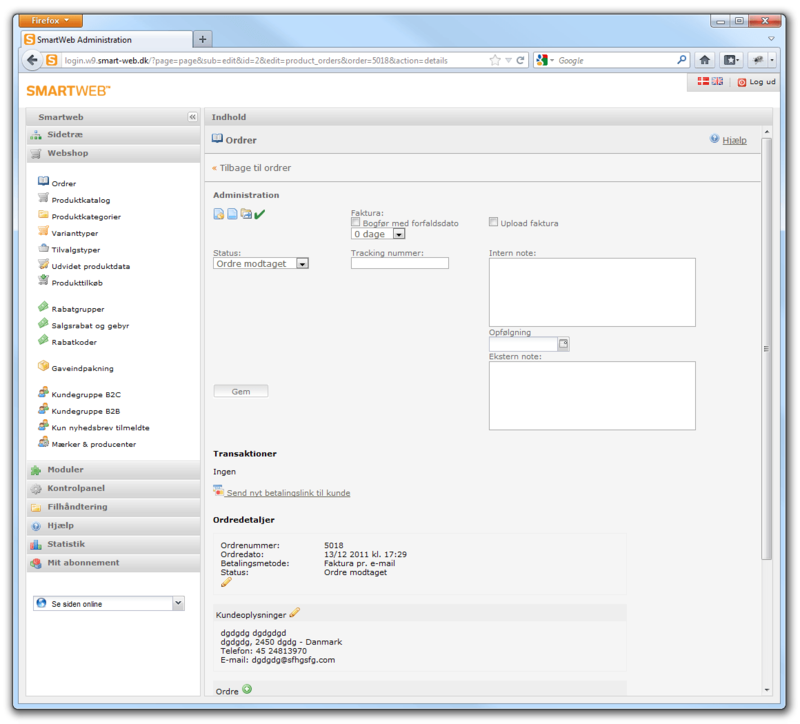 It is easy to administer orders with SmartWeb. Process one or multiple orders at once with just a few clicks. 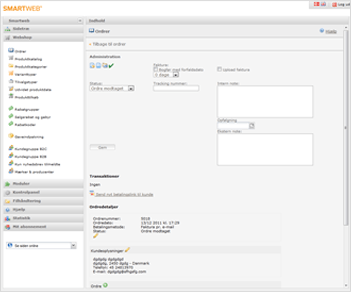 Process orders directly in SmartWeb without having to log into an external system. It is easy to see payment statuses via SmartWebs order list. Book your shipping directly in SmartWeb, e.g. with GLS. It is also possible to use an external system for booking of shipping, e.g. Consignor. With SmartWeb it is easy for customers to shop with you again, check their previous orders etc. your customers can also purchase as a guest without having to create an account. Keep customers up-to-date via e-mails, e.g. when orders are sent. E-mail design and content can be changed.